Ginkgo biloba or maidenhair tree is a very beautiful prehistoric tree. He is part of the Ginkgoaceae family. Maidenhair tree is a conifer with needles so close together that it looks like leaves. He appeared before the dinosaurs and survived all the climatic upheavals of our planet. Ginkgo is generally between 15 and 30 m tall. It can survive more than 2500 years. Its leaves are yellow in October which gives it an extraordinary appearance. There are female Ginkgo that gives orange fruits containing yellow seed and male ginkgo. Ginkgo seeds are big, about the size of tea tree or fishtail palm. Its very primitive reproduction is a stage between the reproduction of ferns and conifers and that of flowering plants. 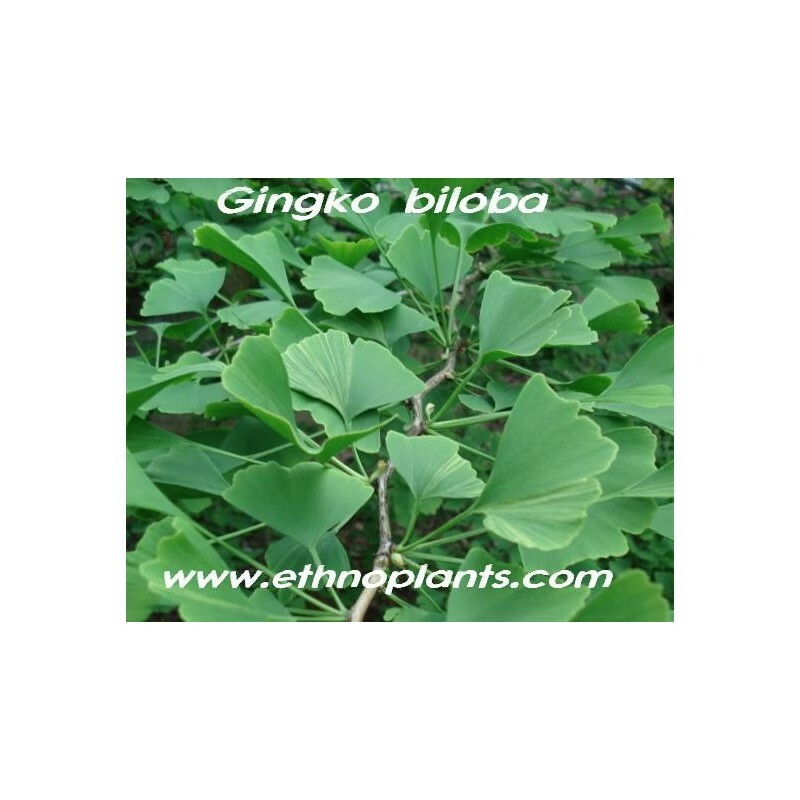 Ginkgo biloba has many medical virtues, it promotes capillary circulation, it is a vasodilator and helps the venous circulation. It helps treat headaches and migraines like marjoram or ginger because it reduces pain, increases dilation of blood vessels and fights stress that can trigger a headache. Its pharmaceutical use has been proposed for its vasodilator capabilities which would treat memory problems, senility, skin problems. In addition, it reduces the risk of dementia and Alzheimer's, it helps fight anxiety and depression such as Griffonia or lemon balm because it improves the body's ability to manage stressors. Ginkgo biloba also helps maintain vision and eye health as well as wolfberry because it improves blood flow to the eyes and fights free radial damage that can damage the cornea. To finish with the benefits of ginkgo, it lowers the symptoms of asthma by reducing inflammation and improving antioxidant activity. People reported less difficulty breathing when taking ginkgo. It is important to stratify your maidenhair tree seeds at forty crowns, naturally by burying them in damp sand and leaving them outside all winter, or artificially by leaving them for three weeks in the refrigerator. Once this step is completed, bury your ginkgo seeds under 1 cm deep in a substrate made from horticultural compost and previously moistened sand. Finally, place your ginkgo biloba crop in a place where the temperature will be between 20 and 25 ° C.
Germination of ginkgo seeds usually takes 2 to 4 weeks. Also exists as a plant for planting.